Can a reader really select one book as his/her favorite when asked? It’s not possible. But there might be one book that comes to mind spontaneously as the answer to that question. For me, that answer would be this book, The Kite Runner by Khaled Hosseini. I read this book from my neighborhood library long back. The story has been unforgettable, and the book now is a prized part of my small bookshelf. The Kite Runner is about love. Though there is a romantic love in the story, it isn’t the focus one. The story shows love in a few forms. One is the love of a father for his son. The other one is a strong friendship that transcends status in society. Amir and Hassan have grown up together. The former is a member of the ruling Pashtun caste, and the latter is his servant, a member of the Hazara caste. Their uncommon friendship suffers because of a choice made by Amir, but it is because of the strength of that bond that Amir journeys back to Afghanistan to right that wrong. If you ask me to associate one word with the novel, I might say “traumatic” or “heartbreaking”, but even then, the story is memorable. I remember even now the first time I read the book. The emotions went between happiness for that uncommon bond, sadness at the choice Amir makes and the repercussions of that, and then a sense of awe as Amir journeys back. Hosseini’s language is evocative, makes it both easier and harder to imagine a world that is being torn apart by war. Each character is beautiful, and human. Not perfect. It’s engaging from start to finish but feels tedious at some parts. I have many favorite quotes from this book but it is a phrase that stands out in the end. A thousand times over I might read this book, if I had the time to, and I think each of those times would be worth it. 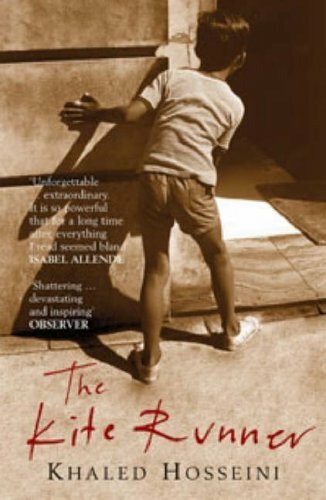 To think this was Khaled Hosseini’s debut novel is astonishing. The writing is compelling and leaves me awestruck. I loved the character of Hassan the most, and the character of Assef the least. But yes, there are times I hate Amir too. For that choice he made, which led to more unforgivable choices. But though it is unwritten, I would like to think he tried to make up for those with that final scene. And yes, that does tug at the heartstrings. This is a must-read novel I feel. And I’m glad to have re-read it to write for this challenge. I read this one long back and I think I should re-read it. I hope you enjoy your revisit, Lata. This is one of my favourite books too! Such a beautifully written book. The characters, the emotions are all written so wonderfully. I know. I remember my first time reading this so clearly. It’s a difficult reread, but worth it. Thanks, Reema. Your book review of The Kite Runner gives an excellent idea of what the story entails emotionally. My favorite book is always the one I am currently reading. Today, that is Cold Storage Alaska. But if it is necessary to name a classic, my choice is The Sun Also Rises. I first read it after attending the bull fights in Madrid decades ago so the book and vacation are likely conflated in my mind. Thank you, Gail 🙂 I wouldn’t say Khaled Hosseini is a “classic” just yet. The story is indeed memorable and Khaled Hossaini writes about a country I am fascinated by – Afghanistan. Happy A to Z Challenge. I love this book! Khaled Hosseini is a favorite! I haven’t gotten time to read the other books but I totally want to read em!